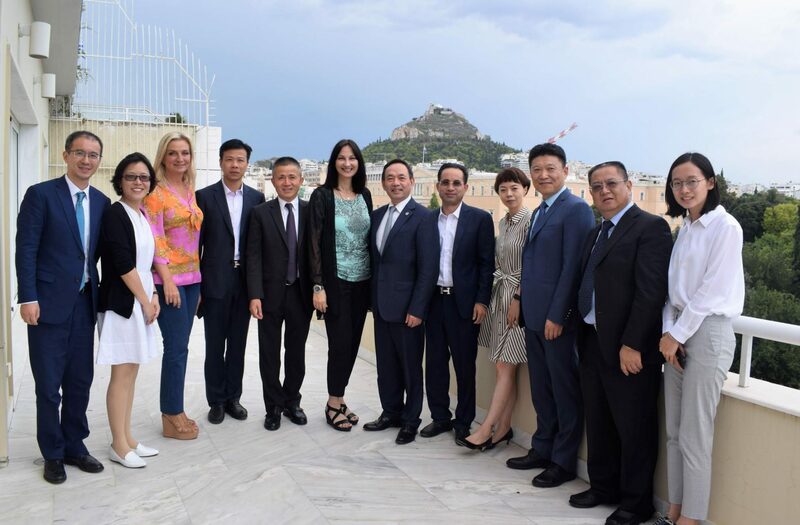 Tourism minister of Greece Elena Kountoura hosted a meeting with the China Council for the Promotion of International Trade (CCPIT) head in Shanghai, Yang Jianrong and a Chinese delegation that included nine businessmen and representatives of the CCPIT who are visiting Greece. Kountoura had met with Jianrong last May in Shanghai also. Their fresh meeting reaffirms the close bonds that have been developed between the two sides lately (especially in the past five years) and was an opportunity to discuss Greece’s participation in the upcoming China International Import Expo, to be held in Shanghai from 5 to 10 November 2018. In addition, they talked about further co-operation in promoting investment and trade ties between Shanghai and Greece. The Greek minister has been working on the establishment of a direct route between Athens and Shanghai with Yang Jianrong expressing his support for her work, as the Greek press release read, adding that he too has taken a similar initiative so that the common goal can be reached faster.